New crowns, steerers and lower legs all add up to a lighter and stiffer cross country weapon. The new chassis features also has a 15QR lower leg option, a tool free through axle for fast no-hassle wheel changes and incredible stiffness to weight ratio. Race proven and improved damping gives riders velcro traction and steering precision while providing seamless transitions from compression to rebound. New for 2009 is the 32 F-RL Remote model. The bar mounted ergonomic lever makes for quick and flawless transitions between lockout and open damping models. 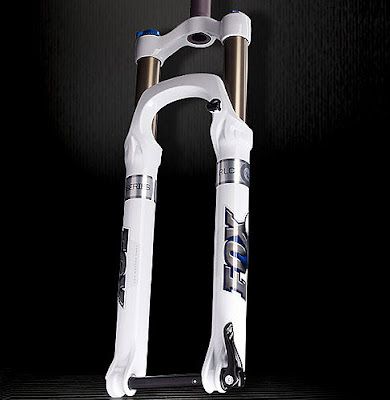 The 120 mm model is the lightest fork in its class. perfect for longer travel XC bikes, marathon racers and light duty trail bikes.